Are you not able to get access to the websites you want? Are you in an environment or country that restricts access to certain websites or censors your Internet usage? Then getting personal VPN is a way to bypass these restrictions and unblock the websites you want to access. A VPN is a Virtual Private Network that allows you to use the Internet the way it was designed to be used, without restrictions or censorship. Unlike business or corporate VPN services, the personal VPN is for your use only. You will be the only one that knows its user name and password. 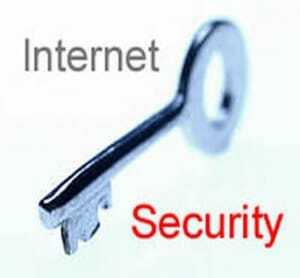 Only you will have access to the security and safety the personal VPN provides. However, searching for the best personal VPN can be complicated because of all the VPN service providers available and what each one of them have to offer. A personal VPN does more for you than you may think. It grants you access to websites that are blocked. It allows you to browse the Internet securely and privately, with the assurance that only you know what you are looking at. The personal VPN also allows you to securely transfer personal data across the Internet without it being intercepted by your employer, government or criminals looking to steal your identity. This service allows you to bypass censorship in countries that limit Internet use, such as many of the Middle-Eastern countries. A personal VPN also allows you to get an IP address from another country, so you can surf the web anonymously. These are just a few of the benefits of a personal VPN. There are many more benefits, depending on the VPN provider you choose to subscribe. Since there are so VPN services on the Internet, you may have a hard time finding the one you want to use. This is why I am writing this article. So you will know what the best personal VPN services out there. These recommended VPN providers will meet or exceed your needs and you need to take a closer look at each one before making a decision on which one to subscribe to. You want to look for a VPN provider that offers you the protocols required to bypass the restrictions, give you an IP address in the country you desire, has enough bandwidth so you can watch videos and the subscription is within your budget. There are 5 top personal VPN services that I would recommend. All of these are reasonably priced and will meet all your security and privacy needs. When you look at these VPN services, you want to see if the price is within your budget and the VPN protocol provided. All of these offer different pricing, depending on the security you require, the bandwidth you need and country you want your IP address to come from. Each has many servers in multiple countries. Take for example Hidemyass.com, it has 216 different servers in 49 different countries and more than 32,000 IP addresses available. When reviewing the best personal VPN providers, these are things you want to look for. Below is a list of the top 5 personal VPN service providers.